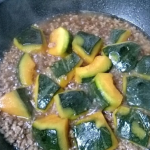 My son, who is studying in Wellington, asked me to give him the recipe for Kabocha Minchi, which was one of the regular dishes at home. Kabocha is a type of Japanese pumpkin very similar to Buttercup produced in New Zealand and Tonga. The beauty of this recipe is that you can use the green skin, too. It’s cheap, healthy, super easy to cook, and tasty. 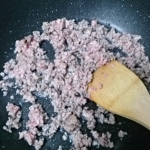 Stir-fry mince, add the rest of the ingredients, simmer for 10 min or until the pumpkin is soft but not mushy. Some recipe use Japanese Sake and Mirin (sweetened sake for cooking). 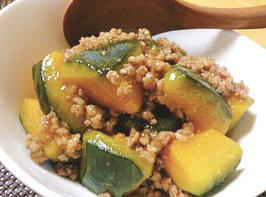 My son later texted me saying, “Made Kabocha Minchi, it was awesome.” Please try it, tonight’s dinner is sorted!